An account of Jewish history in the United States until 1900, focusing on how a small percentage of immigrants altered a culture and how the culture of the North American continent influenced the three branches of Judaism—Orthodox, Conservative, and Reform. ...well-documented and compelling ... As much as I admire this book, I’ll say this: I didn’t understand Weisman’s title ... 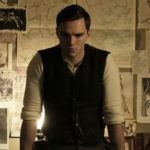 While the deep-seated arguments coursing through his narrative did once result in violence (see below), what he describes is more of a raucous, disputatious evolution than an all-out battle among Jews ... a series of visionary, courageous, often problematic and egotistical men propel Weisman’s story ... a story that is both sobering and inspirational. This history reminds us that we Jews are not a settled people and that we have turned our deep arguments about core precepts and values into a capacity for reinvention, which continues to find fertile soil in America. 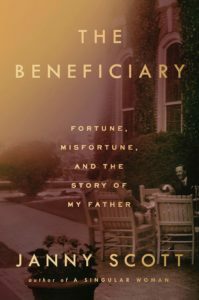 The same ideological struggles that galvanized and polarized Jews in 1841 continue to do so in 2018 ... It’s an insight that infuses his book with a fresh sense of poignancy found lacking in other volumes of history. Drawing on a wide array of sources, he elegantly pulls out the occasional detail, using his seasoned reporter’s eye to jolt aged quarrels back to life ... This same journalist’s instinct, however, keeps Mr. Weisman from addressing questions that might have given his account additional layers of meaning ... Still, in giving us an account of how Jews became a part of America, even as they remained a people apart, Mr. Weisman’s meticulously researched and fluently argued book is a compelling story of a glorious past. It is also a guide to the foreseeable future. The Chosen Wars is peppered with colorful and important figures in the history of early American Judaism. One of the most interesting is Rabbi Isaac Mayer Wise, a German immigrant who played a significant and polarizing role in the rise of Reform Judaism (he was at the center of the Albany Rosh Hashanah melee). His lifelong dream, which would prove impossible to realize, was to unite all American Jews under one distinctly American Jewish denomination ... As Weisman notes, that vision of unity couldn’t survive the late-19th-century influx of Russian and Eastern European immigrants, which saw two million Jews land on American shores between 1881 and 1914. Today’s Jewish community, about two percent of the US population, continues to be divided over issues related to assimilation and secularization; the fiercest disagreements among American Jews relate to the policies of Israel. In uncovering the conflicts of the past, Weisman deepens our understanding of the ongoing conflicts of the present. 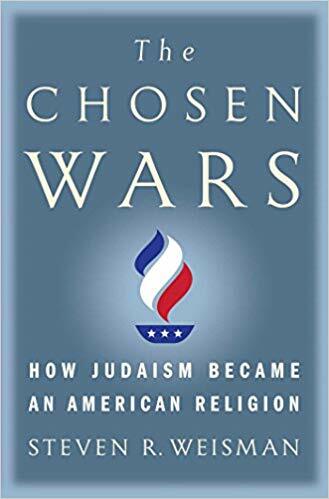 What did you think of The Chosen Wars: How Judaism Became an American Religion?